Pet staining is not an incident you want to leave unattended, especially when it happens on an expensive rug – pet urine and waste are substances that can quickly and severely deteriorate the exquisite fabrics that these rugs almost invariably have. If you've witnessed your pets staining your rug, don't hesitate to call our specialists immediately, as they will treat your call as an emergency. Once we have your precious Oriental carpet, we'll start by identifying the kind of stains that it suffers from, relying on ultraviolet light and a moisture meter to locate the stains. Then, we will assess the severity of the staining varying from low, moderate or severe in order to carefully select the kind of treatment we should use to remove every trace pet odor and staining from your treasured rug. Our professional cleaners will proceed by applying a specialty cleaning agent on the stain – if the pet stain is stubborn, we will use a topical chemical on the impacted area that helps neutralize the alkalinity of pet waste while preserving the fabric. In cases of severe stains, we inject a form of acid into the padding of the rug to dissolve them, leaving it for 10 to 15 minutes before neutralizing it with chemicals. Again, this will only be used if your rug's fabric is equipped to handle it, and we can guarantee that no damage will come to the rug from this treatment. The next step consists of covering the contaminated area with another cleaning solution is designed to rid the rug of the last remnants of pet odor and stains before rinsing the fabric and leaving it out to dry in our specialized room. Did you ever want an Oriental rug really badly but decided to forgo the idea because of your mischievous cat? What about that sleek white modern rug that you turned your back on because of your big shaggy dog? We know just how much you love your pets, but pets and rugs seldom go well together. However, instead of eschewing your dreams of a luxurious interior decor which includes an exotic rug, why not set your mind to rest by seeking our professional rug cleaning services whenever your pet decides to have go at your beautiful designer rug? 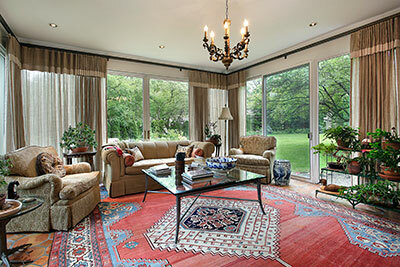 Pets can wreak havoc on rugs and upholstery in many ways. Sometimes, it is the dirty paw, a frisky jump that sends the glass of juice flying on the floor, or even the feared urine stains. 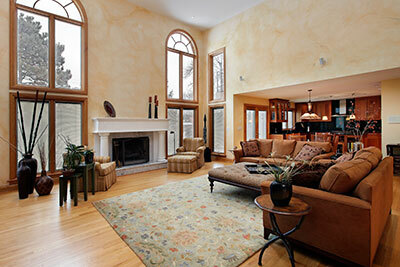 All of this can leave your ornamental rugs looking dirty, worn out and old. Things can quickly spin out of control if there are urine stains to deal with, not just because of the added problem of your pets seeking out the same spot to do the deed again, but also because of the smell of the urine. Here is where we jump in to help. Our professionals are experts in treating all sorts of stains: grime, dirt, various liquids and, of course, pet urine on every rare and expensive fabric imaginable. While you may feel you can do the task on your own, there are many reasons why professional stain removal is a far better option. With the use of latest tools, we are able to detect stains that may no longer be visible and would very likely escape you. Home cleaning of pet stains from Oriental rugs also uses store-bought chemicals which are not only harmful for the health of your children and pets, but also cause mold and bacteria to grow in your Oriental rug' fibers. Lastly, drying can be a problem with any method available at home and can lead to the formation of mildew and mold. The first step is to get to know your stain and the type of rug. Different cleaning solutions are used for different rug types – our experts know this and make sure to know the kind of rug they've been entrusted with so that the appropriate cleaning solution can be used. Next, they process the stain to see if it is grime, urine or a combination of different things. This also helps in the cleaning solution selection process. Using UV light, dried-off spots are detected, including urine spots you might not even know about. Next, the offending spot is treated with a special cleaning solution. Simultaneously, an antibacterial injection is applied to get rid of odors and eliminate any threats to your health. According to your rug type, we employ any of our high-tech cleaning methods that include hot water extraction, steam cleaning or dry cleaning. Finally, our professional drying methods ensure no cleaning solution or liquid remains between the fibers, preventing the rise of mold. 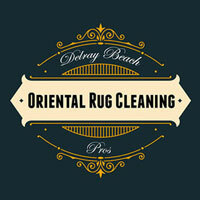 By the time we're done, your expensive Oriental rug is spot-free, odor-free and features a pleasant scent that fills your home with joy.